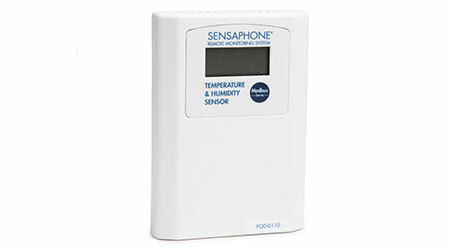 Sensaphone's Sentinel PRO system monitors indoor air temperature from -32 F to 122 F and non-condensing relative humidity from 0 to 100 percent. The combination sensor communicates via Modbus. The cloud-based Sentinel PRO system provides users with on-demand, real-time status of environmental conditions, as well as data logging capabilities. Up to 32 sensors can be wired in succession.